While Joan Rivers will be remembered for her comedy, one of the factors that makes her such an inspiration is that she was far from one-dimensional and didn't feel the need to shy away from expressing the many sides of herself in order to fit what a comedian — or woman — "should" be. This can be seen in the way she lived, because like her passion for comedy, Rivers also showed off her great love of collecting. She was an avid collector of beautiful and rare objects and her home was fit for Marie Antoinette... if Marie Antoinette lived on Manhattan's Upper East Side, or as Rivers once put it, "Marie Antoinette would have lived here if she had money." Nearly two years after her death, a wide variety of items from Rivers' expansive personal collection — including jewelry, clothing, furniture, and more — are going up for auction through Christie's, and it's the perfect way to keep the comedian's memory alive. 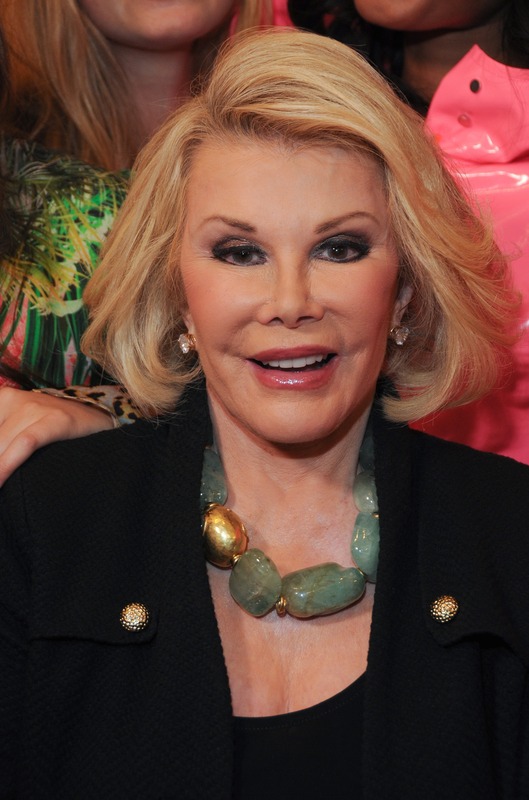 Of course, no one will forget Rivers' time on Fashion Police, her coverage of red carpet award shows with her daughter, Melissa Rivers, or the strides she made for women in comedy throughout her decades-long career, but her collection being shared with others is another beautiful way to remember the icon for two major reasons. During a press walk-through for the collection on June 17, it was repeated many times that Rivers would be so happy that her items were going to be passed down to others, instead of sitting in storage. As Christie's Jonathan Rendell puts it, "It's a living collection," which is to say, Rivers did not collect these items and keep them in plastic covers away from anyone's touch. She wore her designer blazers and jewels. She used her furniture. As Helen Culver Smith, Christie's Russian Works of Art Specialist, points out about Rivers' Fabergé collection, she actually used these rare and expensive items. For instance, there are Fabergé frames that hold photos of Rivers' family. I think she would be thrilled that people are going to enjoy her things and live with her things and appreciate her things. She really believed that your furniture, your jewelry, your art, should be lived with and loved and used, not put away in a vault or storage. These are things that should enhance your life and be a part of your life. The second reason the auction is such a fantastic way to honor Rivers is that a portion of the proceeds will go to two charities: God’s Love We Deliver, which delivers meals to those who cannot cook or shop for themselves in the New York City area, and Guide Dogs for the Blind, a guide dog training school that provides services free of charge. Both charities were close to Rivers' heart. She served on the board of directors for God's Love We Deliver starting in 1994, and left a large sum of her estate to Guide Dogs for the Blind and other charities in her will. If you're interested in checking out Rivers' collection for yourself, it will be on view to the public from June 17 to June 21 at Christie's. The live auction will take place on June 22, and there is also an online auction from June 16 to June 23. Even if you aren't in the market for expensive couture or Fabergé yourself, the collection is worth viewing to see yet another side of Rivers' colorful life.